"A combination of your two favorite games ever? 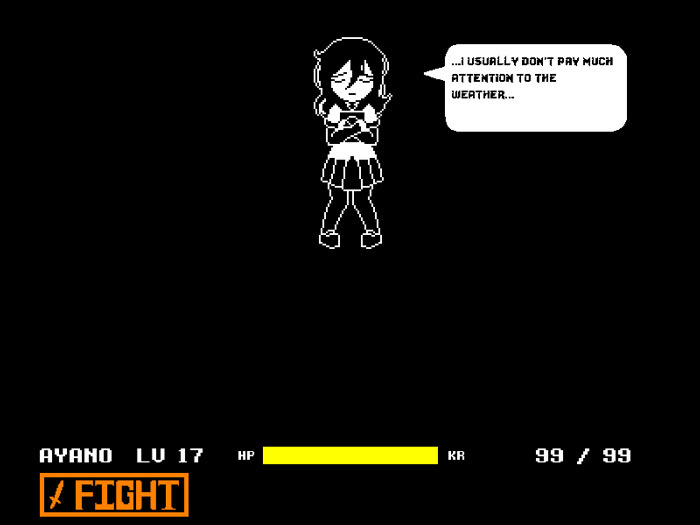 Yandere sim and Undertale....?" 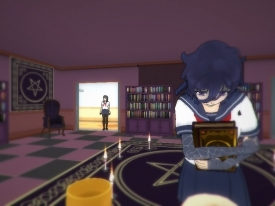 Yanderetale is a special release for Halloween 2016 featuring everyone’s favorite psychopathic stalker and combining it with one of the most popular games of the last year, however as we all know Yandere Dev is very busy and this is a bit like last year’s Kuudere simulator in that it gives a short exclusive cut scene then changes to the Undertale fight screen, but very sadly the fight is not playable, however if you’re still curious to see this little Yandere Simulator Halloween bonus you can download it here for free.